The International Association of University Presidents (IAUP) has unanimously approved the institution of the J. Michael Adams Leadership and Service Award, to be bestowed every three years upon an individual whose work is emblematic of President Adams’ commitment to peace, to sustainable development, economic progress and social advancement, and to higher education as a bridge to these. 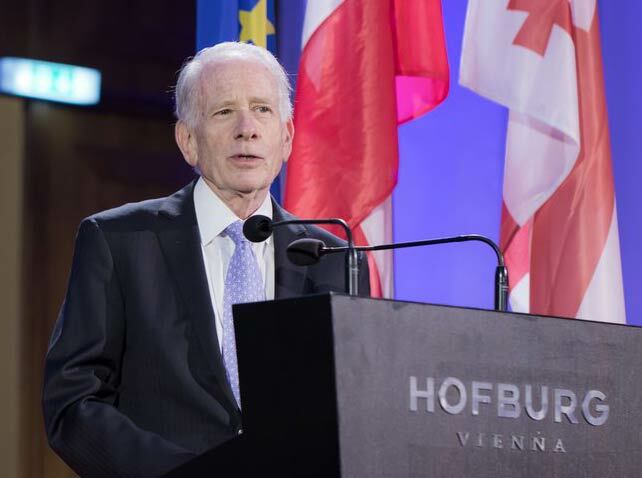 The Board of Directors of the IAUP unanimously agreed to confer the J. Michael Adams award to Allan E. Goodman during the 2017 Vienna, Austria, Triennial Conference of the IAUP. Allan E. Goodman has played a key role in advancing the cause of peace and international education, including the support of developing nations throughout the world through his dedicated efforts and service.